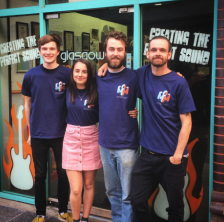 Here at Clothes2order we have been specialising in personalised t shirt printing for over 15 years.Whether you're looking for something that is embroidered, printed with text or even featuring a photograph, we can help you design your own unique custom t shirts. 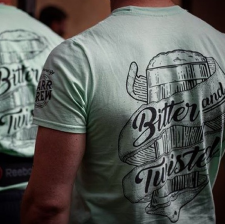 We produce quality printed t shirts for all budgets, ranging from cheap t shirts for events and promotions to high quality workwear tees. Need some inspiration for your printed or embroidered t-shirts? 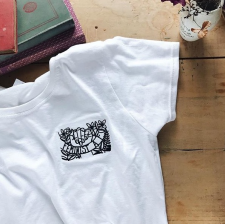 We have some useful tips guides and advice to inspire you when designing your customised t-shirts. A good t-shirt can be iconic. Here is a quick guide to help you start your very own t-shirt printing business. 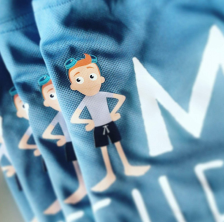 Want to create the perfect personalised clothing? Here are some tips for getting the best results. Struggling to decide which to choose? Take a look and see which method is best for you. We've created this helpful guide to ensure you pick the best t-shirt for your needs. We are experts in custom t-shirts. See our embroidery and t-shirt printing methods below. Direct to garment (DTG) printing uses Neo-Pigment inks to to print your design directly onto the garment. We often use DTG printing for small to medium quantities. Versacamm prints a coloured design onto vinyl which is then cut around and heat pressed onto the garment. It's great for high resolution images with a sharp and glossy finish. We will manually redraw your design into a format that can be read by our embroidery machines. We then use industrial embroidery machines to create your embroidered design. We print the design by applying the coloured ink through a screen onto transfer paper. The transfer paper is then cured and heat pressed onto the t-shirt. This process uses Computer Aided Design (CAD) to cut out a design onto a single-colour sheet of vinyl. The design is then heat pressed to create a vibrant finish. Screen printing involves applying coloured ink to a screen with a cut out design so the ink transfers directly to the t-shirt. We often use screen printing for large quantities over 500 pieces.